It is a quiet and silent place with possible free parking on the street. There is a tram nearby to reach the central part of Brno. Very nice apartment. Very freindly staff. Host even replied to my sms at 9pm :-) Everything was great. Important information in hot summer: the apartment is equipped with an air-conditioning system. Very clen, cuiet and charm new apartmant. There is all you need and it,s realy fantastic. The staff, the area, the building (beautiful, big house), the room, part of the facilities (the working washing machine with washing liquid made our life easier), the view (especially from the terrace), the blinds, the little thoughtfulnesses (like tiny shampoo bottles, and water in the fridge), the furniture, the excellent shower with no splashing onto the floor. W mieszkaniu była pralka, z której można bylo bez przeszkód korzystać oraz płyn do prania - rzadko spotyka się takie udogodnienia. W pokoju była klimatyzacja, która zastępowała niedziałający grzejnik. Mieszknaie jest położone blisko Tomkovo Namesti (placu - węzła komunikacyjnego), co pozwala na poruszanie się po Brnie również bez samochodu. Ogólnie ocenia mieszkanie wysoko i pozytywnie. Właściciele wystawili wymaganą przez pracodawcę fakturę, co jest ogromnym plusem. Мы ехали по длинному маршруту и остановились, чтобы передохнуть. Отличные апартаменты: чистые, стильные с мансардными окнами. Абсолютно есть всё необходимое, парковка под домом.Очень удобная система регистрации. Взял в ящике ключи и живи.)))) Всем рекомендую! 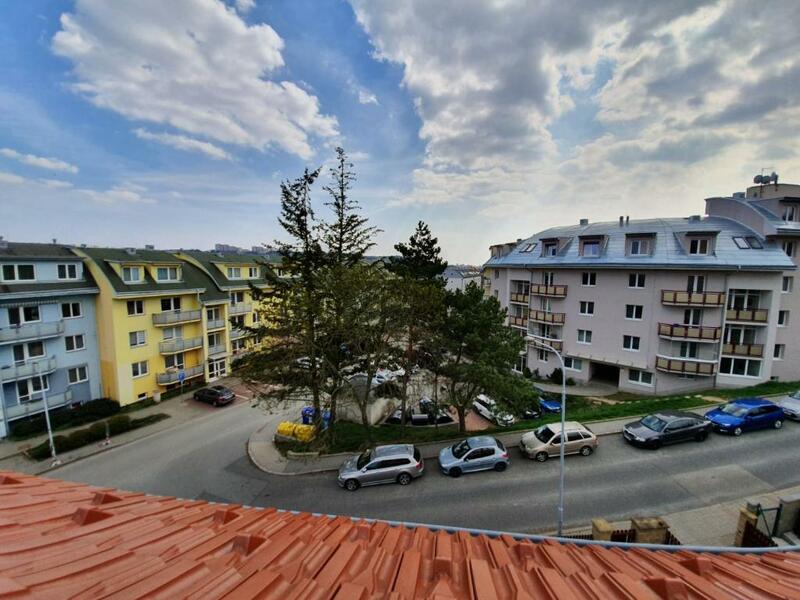 Lock in a great price for Apartmán Skryjova – rated 9.4 by recent guests! 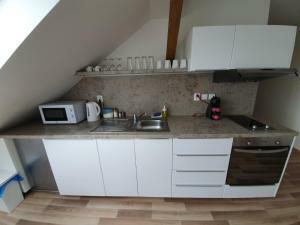 Apartmán Skryjova offers accommodations in Brno, 2.6 miles from Špilberk Castle. Offering private parking, the apartment is 5 miles from Trade Fairs Brno. The apartment is composed of 1 bedroom, a fully equipped kitchenette, and 1 bathroom. A flat-screen TV is available. Villa Tugendhat is 1.9 miles from Apartmán Skryjova, while Brno Christmas Market is 2.9 miles away. 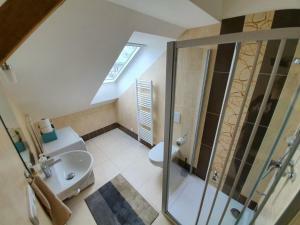 The nearest airport is Brno-Turany Airport, 6 miles from the property. This property is also rated for the best value in Brno! Guests are getting more for their money when compared to other properties in this city. When would you like to stay at Apartmán Skryjova? 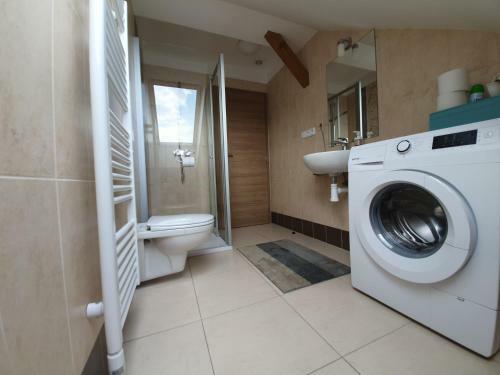 This apartment has a washing machine, kitchenware and air conditioning. 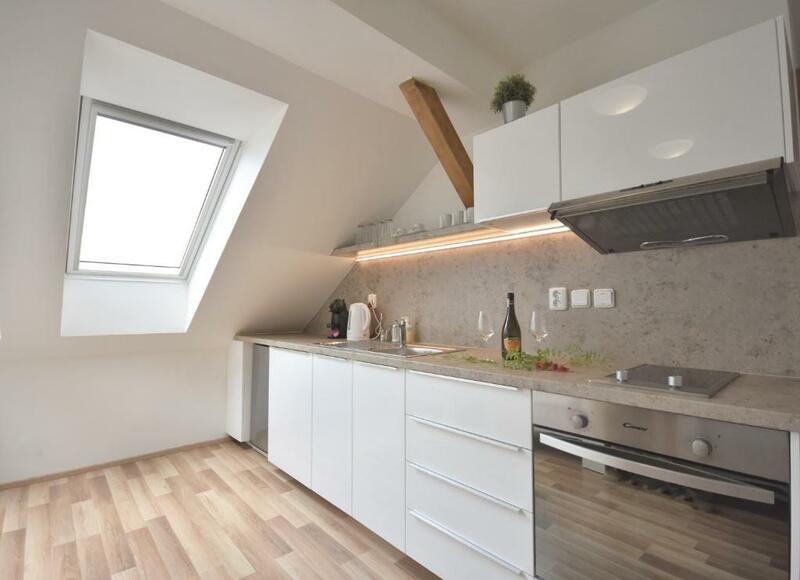 Apartmán Skryjova se nachází v klidné okrajové části města Brna s dobrou dostupností centra města, ať už MHD, autem nebo po cyklostezce. V blízkosti se nachází restaurace i obchod s potravinami. Jedná se o novou půdní vestavbu. Byt je vybaven důležitým příslušenstvím jako jsou: lcd tv, klimatizace, wi-fi zdarma, zařízená kuchyně, pračka a příslušenství, ručníky a osušky, fén, základní toaletní potřeby, vestavná skříň, lednice a kávovar. Parkování je možné v oploceném areálu objektu za 100 Kč/noc. Ubytování nemá recepci, hlaste prosím čas příjezdu předem. House Rules Apartmán Skryjova takes special requests – add in the next step! Please inform Apartmán Skryjova of your expected arrival time in advance. You can use the Special Requests box when booking, or contact the property directly using the contact details in your confirmation. One of the most picturesque neighborhoods in Brno! The only negative point is the location. If you travel by car is easy to get there, but by public transport I think not. Very clean, quiet. Very kind administrator. Well, overall it was exceptional. The beds were not too comfortable, and the sheets could have been better (almost nowhere do they have the simple cotton sheets anymore, even though those aren't expensive and are easy to purchase - they had some sweaty, plastic like material here, as well). And one thing that is okay, as Brno is not dangerous, but good to know: in order to get to the very nice location of the place with public transportation (on the line of tram 4), you have to cross one of the shady neighborhoods of the city. Also, a coffee maker may not be mandatory, but it would come in handy for the ones who have morning programs, but are not morning people (like myself).